Jack Thomas Smith made his feature film-directing debut with the psychological thriller “Disorder.” He was also the writer and producer of that film. “Disorder” was released on DVD by Universal/Vivendi and New Light Entertainment. It was released on Pay-Per-View and Video-On-Demand by Warner Brothers. Overseas, it screened at the Cannes Film Festival and the Raindance Film Festival in London. Curb Entertainment represented “Disorder” for foreign sales and secured distribution deals around the world. 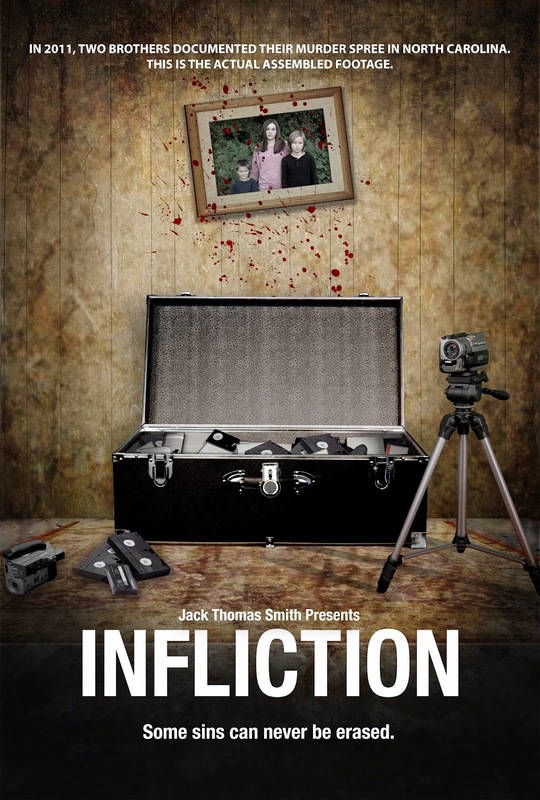 Jack Thomas Smiths most recent project Infliction is found footage horror film centered on two North Carolina brothers who go on a murder spree. I grew up in Sparta, New Jersey. It’s a middle-class suburban town about 45 minutes outside of NYC. A great place to live. All roads seem to lead back to Sparta. Most of the investors on “Infliction” are friends I know in Sparta, or friends I grew up with. My dad has always worked in the corporate field in sales. He worked for years at BASF before starting his own corporation called S&S Industries. He’s very successful and has always been driven. My mom has worked in the corporate field as well. She’s primarily done accounts/receivable work. My mom’s about as aggressive as they come. Lol. My parents went the traditional route of finding corporate jobs and they provided a great life for my younger brother and I. But they also really loved movies. They had a passion for movies that rubbed off on me. When I was a teenager, my father and I would watch movies together and we’d break them down... We’d talk about what the films meant... What the director was trying to say... The imagery and symbolism in certain scenes... I’ve never been able to mindlessly watch movies, which is a good thing, because I feel this has helped me in my career. To be honest, I never went to college. I started writing when I was really young... It was just something I loved to do. And then when I was in my late-teens I went to the library and took out a book... “How to Write Screenplays”... Lol. And I followed the instructions. I learned how to structure a screenplay... The plot points, etc. I also learned the mechanics of formatting a screenplay. Once I had that down, I was able to apply the actual story to the proper screenplay layout. And it also helped that I had spent years before that studying films in my living room with my dad and breaking them down as I mentioned earlier... I wouldn’t recommend this route to everyone. But this is what worked for me. It was a Super 8mm movie camera and I got it when I was 13. It was awesome. I shot a bunch of horror shorts and comedy shorts with my brother and friends in the neighborhood. It was a great learning experience. I learned the process of getting coverage... And shooting one actor’s lines at a time and cutting it together. In other words, I didn’t shoot an entire scene in one take with the camera swinging back and forth from one actor to the next. I isolated each actor’s performance and cut it together... At least I tried to as best as I could. Lol. It was a lot of fun and we still have those old films. Every here and there we watch them for a laugh. As a writer director you are a storyteller. What made you chose to tell your stories on film? I’ve always loved movies. It goes back to the first time I saw “Star Wars.” I was 8 years old when it came out and I was absolutely blown away. I wanted to know how they did everything... From the casting to shooting to the special effects. I wasn’t just a fan of that movie... I wanted to learn how they did everything so I could do it. So I read every magazine or book I could get my hands on about the making of “Star Wars” (that was long before the internet, lol). Shortly after that, I read “The Shining” by Stephen King and that changed my life as well. I started writing horror stories obsessively. So essentially I married my love for writing with my love for films. I knew at a very young age that I wanted to write and make films. I’ve done this ever since... Whenever I write a screenplay, I plan to shoot it myself. I never go in thinking that I’ll sell it or that someone else will direct it... I want to have complete control over my vision. 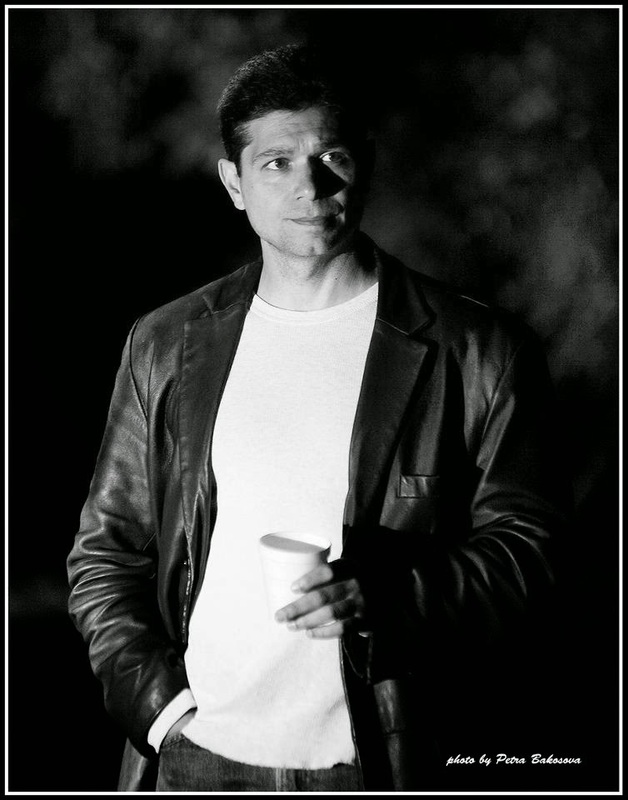 So if you watch the two films that I wrote and directed – “Disorder” and “Infliction” – that’s my vision 100%. Is there a specific film that made you think you could do what you saw on screen? Definitely “Star Wars.” That was the first film that hit me as a kid. After that, there were a number of other films that influenced me... “Dawn of the Dead” (the original); “Night of the Living Dead”; “Rocky”; “The Shining”; “The Crow”; “Goodfellas”; “Carrie”; “Scarface”; “Taxi Driver”; “Jaws”; “Halloween”; “The Fog”; “The Thing”, “Apocalypse Now”, etc. As you can see I’m a huge fan of Brian DePalma, Martin Scorsese, Stanley Kubrick, John Carpenter, and George Romero... I love films that make you think. Your latest film Infliction was released on July 1st, how would you describe it? 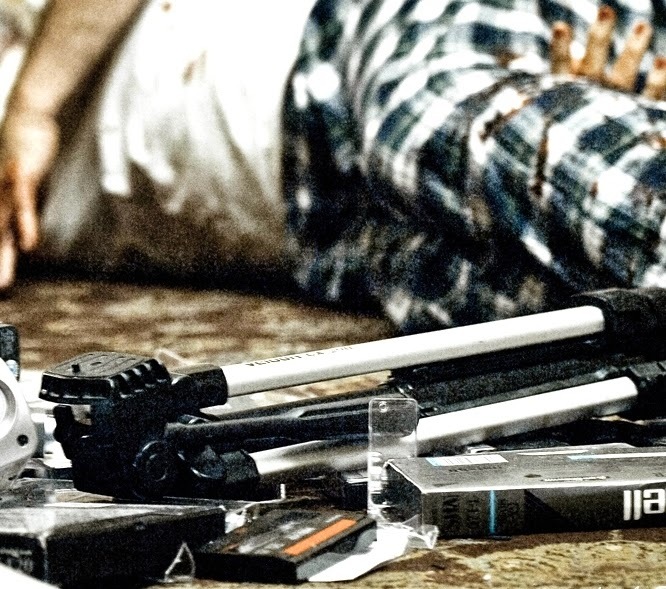 “Infliction” is a disturbing assembled footage film that documents a murder spree committed by two brothers in North Carolina... And the horrific truth behind their actions. It’s brutal and gritty. Very dark. But as you watch “Infliction”, you’ll find yourself asking who are the true victims here and who are the true criminals. Why did you choose to tell your story using the found footage format over conventional narrative? I shot “Infliction” as found footage because the story dictated that. In other words, I didn’t set out to shoot a “found footage” film. In the film, the brothers are filming their actions for a reason. The cameras play an important part as to why they’re doing what they’re doing. There are some other “found footage” films where you’ll see people running from a monster and you’re yelling at the screen for them to put down the damn camera and run. I didn’t want to do that with “Infliction.” I wanted it to make sense why they’re shooting everything... And as the film plays out, you’ll see why the cameras are so important to them. As a writer/director are you protective of your work as a writer? Absolutely! You have to be. Anytime I write a screenplay, I get a copyright before I send it anywhere. Unfortunately, there’s bad people out there that want to steal other peoples’ ideas and/or screenplays and claim it as their own. I couldn’t imagine doing that. Every screenplay that I write means something to me. That’s why I’m doing it. It’s my passion and it’s what I love to do. But there’s people out there that want quick success and they want to take shortcuts instead of putting in the hard work that it takes to get there. Yeah, I’m very protective of my work. I’ve always been a fan of the genre. “Dawn of the Dead” is my all-time favorite horror film. I’ve always loved that rush when watching a horror film... You’re on the edge of your seat... You don’t know what’s around the corner... Your heart’s racing because you don’t know what to expect next. It’s a lot of fun. No different than going on a rollercoaster. From a filmmaking standpoint, horror movies are a blast to make. It’s cool watching the effects on set... Creating the mood with the lighting and locations... Plus, you don’t need A-list actors when making a horror film. If you look at some of the greatest horror films ever made – “Halloween”, “Nightmare on Elm Street”, “Friday the 13th”, “Texas Chainsaw Massacre” – they were low-budget films without known actors. Horror is the one genre where you can make a quality, marketable film on a small budget. Your first feature Disorder was released in 2006. Is it harder to get your film noticed now than it was 8 years ago? It is. Back when I did “Disorder”, most movies were shot on film. So you had to have a certain amount of money to make a movie. There weren’t as many indies being made. “Disorder” was shot on Super 16mm, which gave it the gritty look I was going for. But today with digital cameras, anyone can make a movie. And the market is flooded with indies... With so many indies out there now, it’s getting harder and harder to get your movie noticed. I was fortunate that I went back to my sales rep, Jeff Cooper of Cut Entertainment Group, who handled “Disorder”and negotiated the deal with Universal/Vivendi, and he was able to secure distribution for “Infliction” with Virgil Films & Entertainment. “Infliction” will be available on Netflix, Walmart.com, iTunes, Amazon, Best Buy, Barnes & Noble, CD Universe, Google Play, Vudu, Cinema Now, Vimeo OnDemand, and other online retailers.